SPF «Packer» has successfully passed the certification procedure for the compliance with the environmental management system ISO 14001: 2004 and health management system and occupational safety requirements of OHSAS 18001: 2007 in the certification agency of the American Petroleum Institute. 03/28/2016 SPF Paker LLC was awarded with the prize of the CIS 2015 in the field of product quality. The CIS Economic Council rewarded SPF Paker LLC with the Commonwealth of Independent States Prize in the field of goods quality and services quality in the nomination of «Manufacture of goods products for production purposes with the number of employees from 251 to 3 000 people» for 2015. 10/19/2014 SPF Paker is the winner of the rating "TekhUspekh 2014". 06/05/2014 SPF Paker was awarded the prize of the Government of the Russian Federation in the field of quality. On Friday, 24th January, a solemn ceremony of awarding the winners of the republican competition on the prizes for quality of the Government of the Republic of Tatarstan was held in the Cabinet of Ministers. 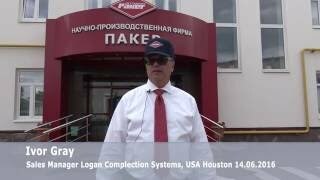 11/07/2013 Science and Production Firm Paker LLC entered the Top - 50 best companies of the rating "TekhUspekh 2013". Science and Production firm Paker entered the TOP-50 fastest developed companies (on revenue expansion rate) and TOP-50 innovative companies (technology level of output product, its modernity, intellectual property of companies, R&D expenses and technological innovations), and TOP-50 companies of the main rating "TekhUspekh".